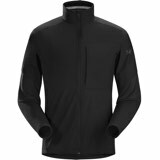 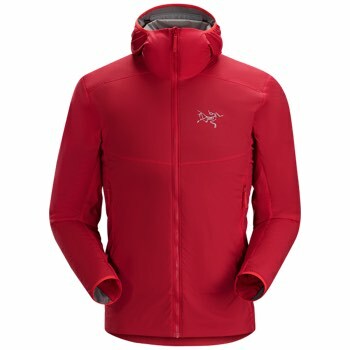 Designed for the uptrack, the Ryze Hoody enables thermal regulation during high output ascents. 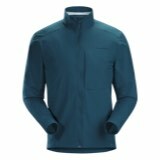 Using lightweight, highly air permeable Fortius™ Air 20 face fabric and Octa™ Loft synthetic insulation, this minimalist backcountry mid layer self-regulates to prevent overheating while providing light wind protection and measured warmth. 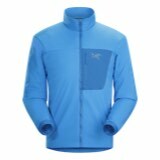 Designed to move with the body, the trim fit improves thermal efficiency and layers easily under a hardshell. 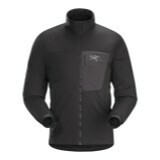 The streamlined low profile adjustable hood fits comfortably under a helmet for an added layer of protection. 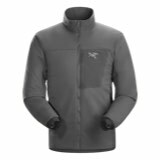 Medium volume zippered hand pockets securely stash a toque or gloves and are easily accessed while wearing a pack or harness.